If you already know about Python programming and want to understand data, data formats, data visualization, and how to use Python to visualize data then this book is for you. 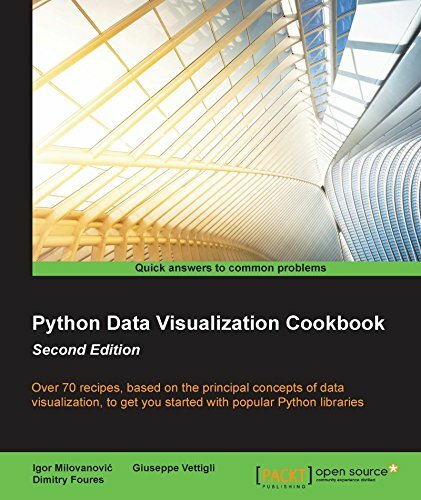 Python Data Visualization Cookbook will progress the reader from the point of installing and setting up a Python environment for data manipulation and visualization all the way to 3D animations using Python libraries. Readers will benefit from over 60 precise and reproducible recipes that will guide the reader towards a better understanding of data concepts and the building blocks for subsequent and sometimes more advanced concepts. Python Data Visualization Cookbook starts by showing how to set up matplotlib and the related libraries that are required for most parts of the book, before moving on to discuss some of the lesser-used diagrams and charts such as Gantt Charts or Sankey diagrams. Initially it uses simple plots and charts to more advanced ones, to make it easy to understand for readers. As the readers will go through the book, they will get to know about the 3D diagrams and animations. Maps are irreplaceable for displaying geo-spatial data, so this book will also show how to build them. In the last chapter, it includes explanation on how to incorporate matplotlib into different environments, such as a writing system, LaTeX, or how to create Gantt charts using Python. A step-by-step recipe based approach to data visualization. The topics are explained sequentially as cookbook recipes consisting of a code snippet and the resulting visualization.